Prof Joseph L. Wallis and Prof Daniel Kirk. 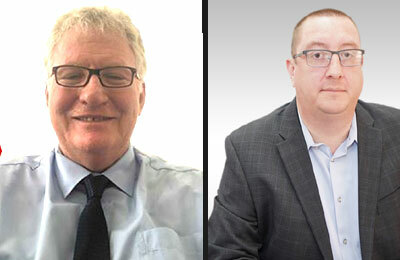 The American University of Ras Al Khaimah (AURAK) has announced the appointment of two new deans starting Fall 2018: Professor Daniel Kirk, Dean of the School of Arts and Sciences, and Professor Joseph L. Wallis, Dean of the School of Business. Prof Wallis, formerly a professor of Economics and Public Administration at the American University of Sharjah (2003-2018), served as the head of the Department of Management, and played a lead role in the School of Business Administration gaining accreditation in 2011 with the Association to Advance Collegiate Schools of Business (AACSB) and re-accreditation in 2016. He served as a faculty member in the departments of economics at the University of Otago in New Zealand (1987 to 2003) and Rhodes University in South Africa (1984 to 1987), said a statement from Aurak. He has launched a programme of cross-disciplinary, scholarly research and professional consulting, encompassing economics, public administration, public policy, leadership, and ethics, it stated. Prof Kirk joins Aurak from the National Defense College of the UAE, where he served as Associate Dean. He has served as Executive Director of the School of Learning and Teaching and Associate Dean of the College of Education at Pacific University, Oregon and as faculty at the American University of Sharjah (UAE), Macon State College, Bahrain Teachers College, and ECAE. Prof Kirk has worked for the Georgia State Department of Education on implementation and review of a statewide comprehensive school reform (CSR) initiative, and more recently has collaborated with the Ministry of Education in Oman and the Abu Dhabi Education Council on teacher development and professional learning activities. Welcoming the appointments, Aurak President, Prof Hassan Hamdan Al Alkim, said he was overjoyed with the exceptionally high level of dedication the appointments had demonstrated as AURAK family members.